At the National Museum of Australia (database record, has more photos). 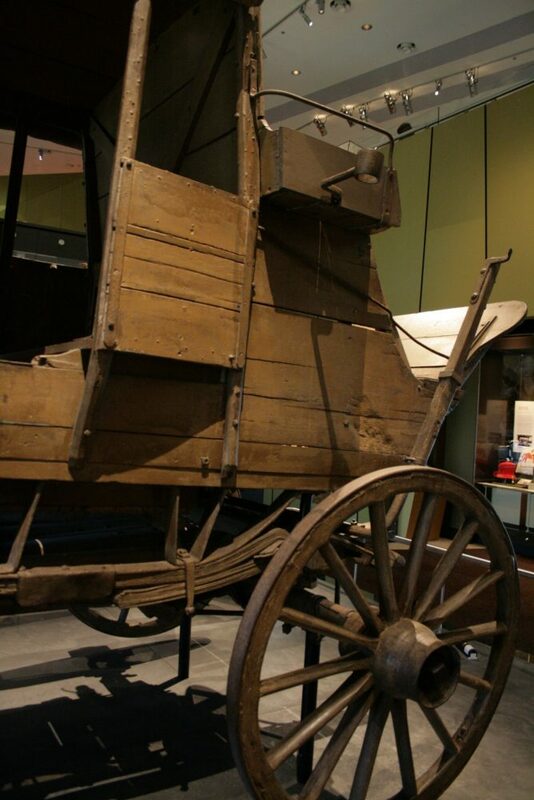 This coach may have been manufactured by Cobb and Co. at its Charleville coachworks in Queensland or by a smaller company in the Gunnedah area of New South wales. 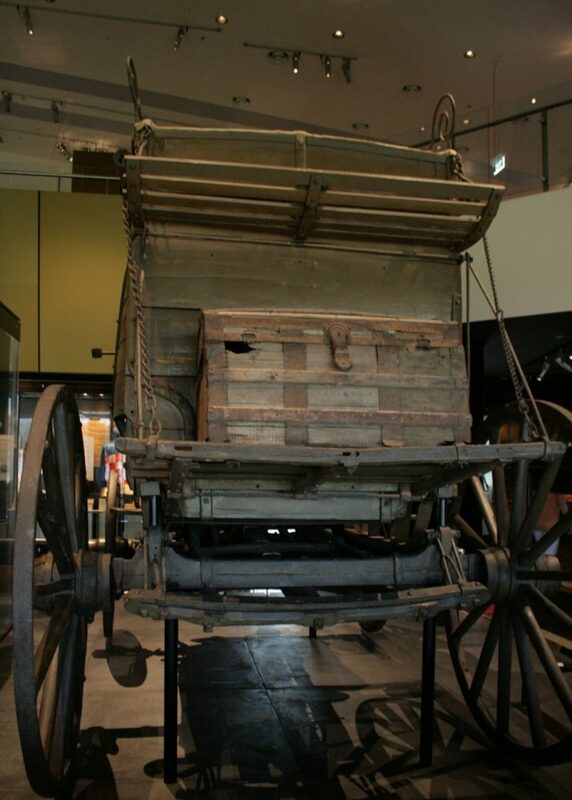 It was used on Robert Nowland's Gunnedah to Coonabarabran mail run, probably the 1870s. 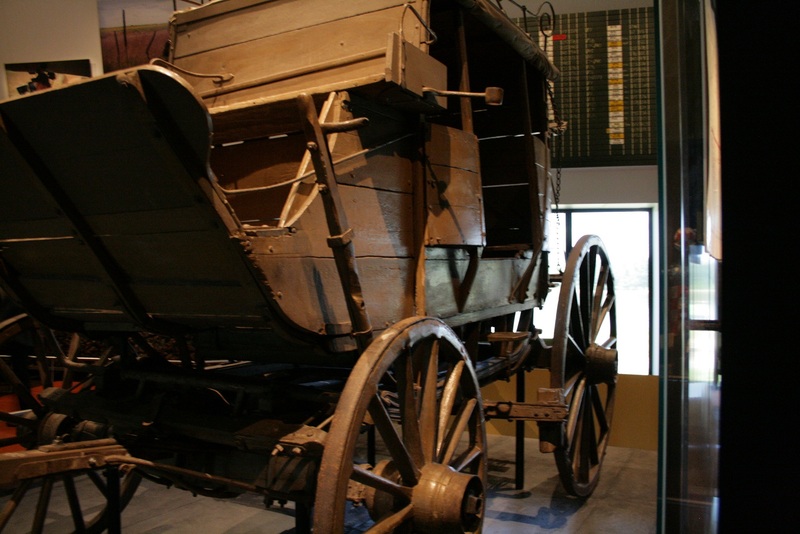 At first this 100-kilometre route followed a rough bush track, if the coach got bogged or the road was too steep for the four-in-hand horse term, passengers had to get out and walk. 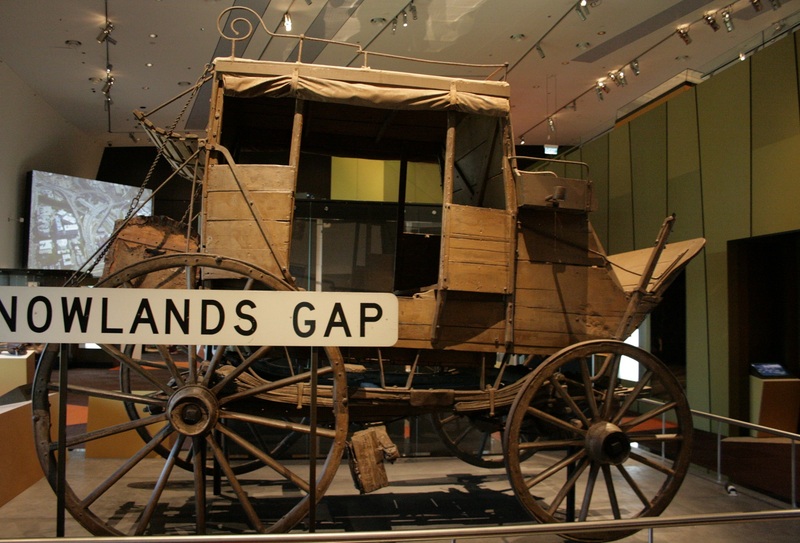 In 18880, just after the railway reached Gunnedah, the government built a good road between the two towns. 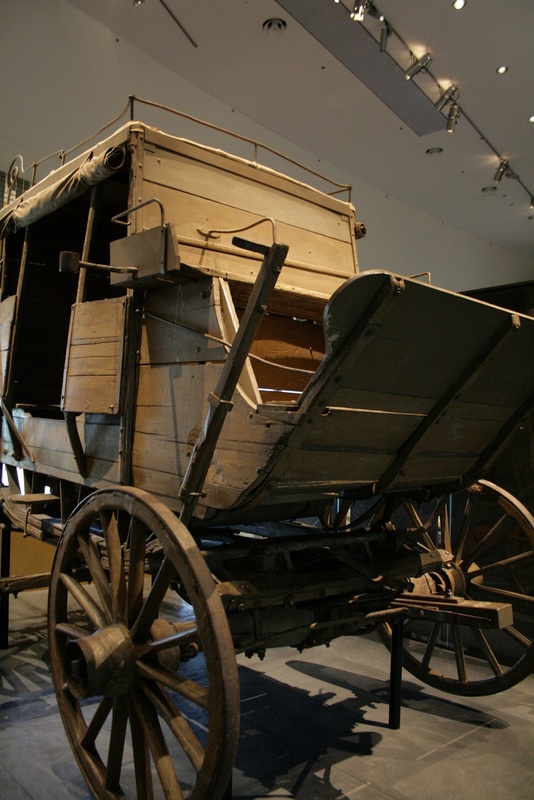 Nowland was granted persimmons to use the road in 1882 and it proved a lucrative route. If the weather was fine, the new route took 12 hours, with tree stops along the way to change horses. 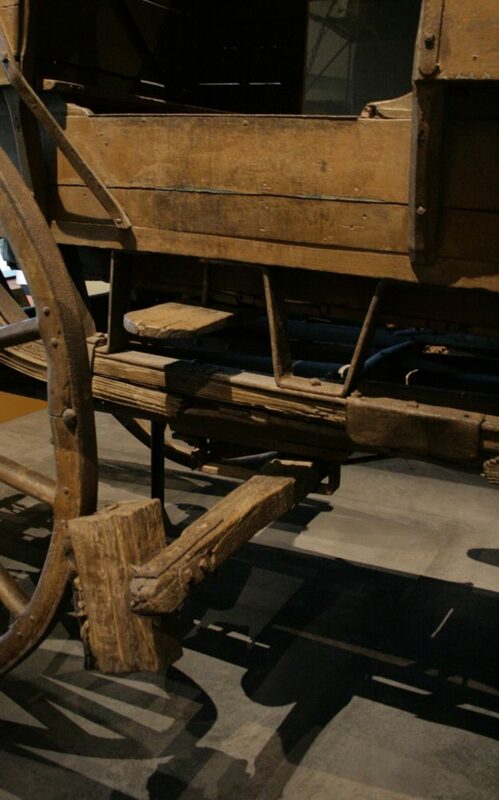 When the coach was acquired by the Museum in 1980 this wooden trunk came with it. 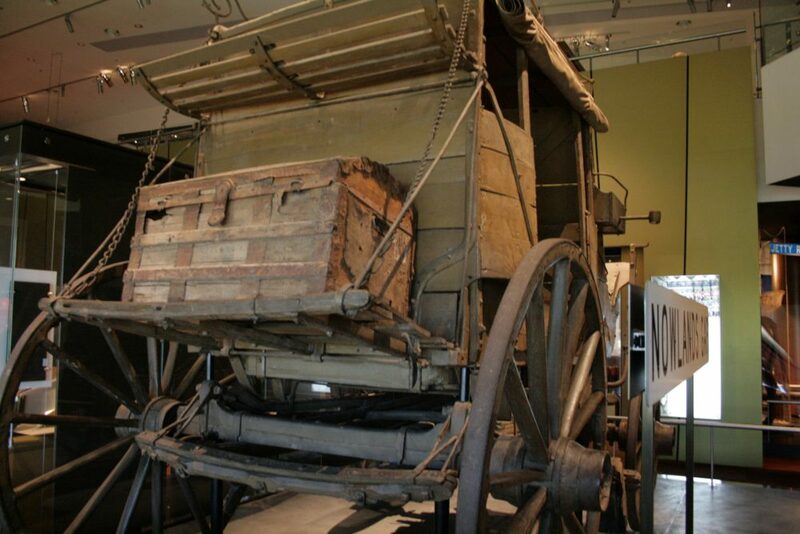 The tray on the rear of the coach, known as the 'boot', was used for luggage, as was the roof. 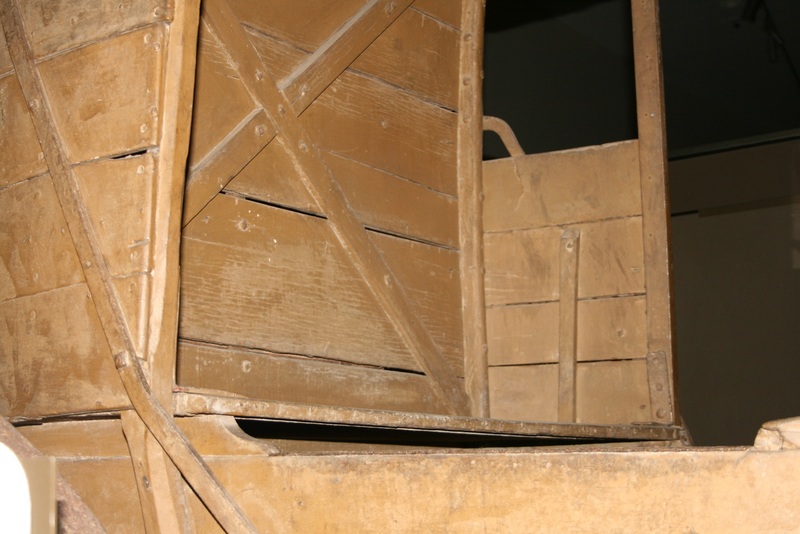 Goods were sometimes stowed under the seats and could bang passengers' legs on rough stretches of road.